Plus Delta’s consultants have developed and now regularly deliver keynotes and workshops on a variety of topics. Our leadership development programs are appropriate for both professional audiences and internal client groups. We can also design custom learning experiences to address your particular business needs. Plus Delta’s CEO and Chief Architect Dr. Jeremy Lurey, in particular, regularly facilitates professional development programs on succession planning, strategic planning, leadership and team development, performance management and organizational change management. Provided below are brief descriptions for our most popular and well-received management development programs. Three Simple Steps to Making It Your Best Year Ever! – Strategic planning is critical to the success of any organization. To achieve your business objectives, you need to plan where you’re going and how you’re going to get there. If you don’t, you run the risk of never reaching your intended destination! Traditional strategic planning approaches like SWOT analysis only get us so far though. That’s because they’re based on a model of looking over your shoulder and reviewing your past accomplishments rather than identifying your ideal future irrespective of your past. And that can keep your organization from achieving any breakthroughs in performance by limiting your “out of the box” thinking such that you simply maintain your predictable path. In this workshop, we’re going to learn three simple steps for not just wanting or hoping or even thinking that maybe this could be your best year ever. Instead, we’re actually going to declare it and then make it your best year ever. Succession Planning & Developing Your Next-Generation Leaders – Leadership development and succession planning in particular, may be the most critical aspect of continuous improvement. No matter how much money or time we invest in upgrading our aging systems or standardizing operations across sites or even extending our customer reach, we put our organizations at great risk if we do not build healthy pipelines of leaders capable of succeeding in their current roles and advancing to the next level. With nearly 10,000 Baby Boomers reaching retirement age every day, many of our current leaders will not be in their roles for much longer. Many of the people eagerly awaiting their chances to step up, though, do not currently possess the tools and skills they need to succeed in higher-level leadership positions. In this workshop, we will review cutting-edge strategies for developing our next generation of leaders and mentoring them to develop the capabilities required to perform in higher-level roles. Continuous improvement in today’s multi-generational work environment is a whole new ballgame! Telling ‘Em What You Really Think! – Many of our accomplishments and most of the results we achieve in business happen through our communication and conversations with others. In today’s high-tech environment where text message chats seem to outnumber good-old-fashioned phone calls though, more and more of our leadership is happening via email and iPhones. That clearly is not conducive to providing feedback – positive or constructive (aka “negative”) – to others, which is arguably one of the most difficult things any CEO or senior executive ever does! During this workshop, we will explore people’s natural leadership styles and practice using a proven framework for communicating with and providing effective feedback to others in a way that is less contentious, less confrontational, and best of all enables you to tell them what you really think to produce better business results. Virtual Teamwork: Leadership Best Practices for Working in a Networked Economy – Now that advanced technologies enable collaboration across organizations, today’s corporations are turning to virtual teams to maintain their competitive edge. While the use of virtual teams is becoming more and more prevalent in this networked economy, creating high-performing virtual teams, however, still remains a mystery to many business leaders. Recent research and professional experience shows that virtual teams are dependent on much more than the latest tools and technologies. For this reason, we will discuss common challenges with and critical success factors for effective virtual teamwork during this program to help participants develop the critical skills they need to be successful virtual team leaders. The workshop will also focus on the basic fundamentals relating to the internal group dynamics and external support mechanisms that impact virtual team performance. During the session, we will explore best practices for managing remote workers to enhance remote communications and virtual teamwork as well. Meeting Management for High-Performing Teams – The average worker spends anywhere from 10 to 50% of his or her time attending meetings. That equals anywhere from nearly 200 to well over 1,000 hours spent in meetings every year! Multiply those numbers by your average current salary and the total number of employees in your company, and you will quickly see why approximately 20 to 40% of your company’s employment costs involve people attending meetings. That’s either a tremendous value to your bottom line or potentially a complete waste of time! As organizations have moved to a more empowered work environment, where people are now working in teams to solve complex problems and make informed business decisions, the occurrence of meeting has already and will continue to increase. Given the amount of time people will spend in these meetings, it is imperative that they are highly effective and achieve their intended results. Effective meetings, then, are a key to an organization’s success, yet more often than not they continue to be the root cause of an organization’s performance challenges. This program focuses on fundamental principles and proven best practices for leading effective meetings. Getting the Most out of Your People – All the Time! (aka What a Performance Review Is & What It Isn’t!) – How often have you heard a business leader grimace or otherwise complain when HR announces it’s time to complete annual performance reviews? People often think of performance management as that thing they have to do for HR at the end of the year so that people can qualify for their bonuses. While that may be part of the process, performance management is not just a once-a-year HR task. It’s an always, ongoing activity! Managing performance is the only reliable way to assure your people are working on the right things, give them the feedback – both positive and constructive – they need to succeed, and ultimately get continuously better results. During this workshop, we will review everyone’s critical roles – Managers, Employees, and HR Professionals – as part of the performance management process. Participants will also gain clarity about what an annual performance review is and what it isn’t – specifically learning several Do’s and Don’ts in the review process – as well as discuss several leading practices and proven tools to enhance any existing performance management practices. Essentials of Change Management – Far too often, organizations fail to achieve the intended benefits of their change efforts. In fact, it’s not uncommon for only 20% of major changes to ever achieve their intended business results. Whether it is a systems implementation, a process redesign, or any other organizational transformation initiative, that means that up to 80% of these change projects fail to achieve their intended business results! In this interactive training program, participants explore the key drivers for successfully implementing organizational change and develop the critical skills they need to effectively lead change initiatives. The workshop focuses on the fundamentals of Plus Delta’s proven Positive Change℠ approach to help participants learn about why people resist change and discuss several effective strategies for leading individuals through large-scale organizational changes to mitigate their resistance and achieve greater project success together. 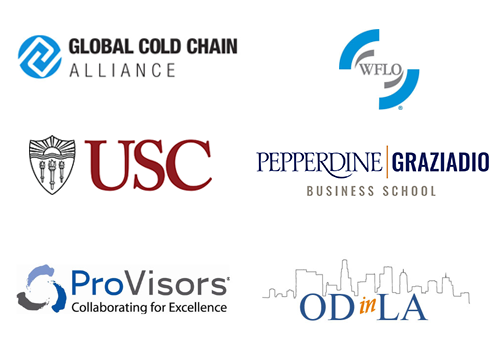 Give us a call at (310) 589-4600 or email us to find out how to sponsor one of these training programs in your own organization or professional association. These programs are perfect to enhance a leadership retreat or any other team development event. We can also deliver any of these programs online via webinar to accommodate your geographically-dispersed teams. Click here for a short and insightful article on Employee Development and the value of training your staff. Or click here for several leadership best practices your Managers need to know. "Facilitating people in this field is one of the most challenging endeavors. Jeremy nailed it! He is one of the most real, authentic, powerful facilitators with whom I've worked. Jeremy shared helpful tools that served as a launching pad for great discussion. He challenged us and asked great questions. It was one of the most powerful groups that I've been part of, and I believe that's because of Jeremy's skills in facilitating, coaching, and presenting what's real. I hope to work with him in the future and give other leaders the opportunity to work with him as well."